For over 25 years, the Zelda series has built a centuries-old legend around the mighty embodiment of the three golden goddesses’ power: the Triforce. And it has worked wonderfully well. Ocarina of Time, after so long, gave the golden triangles a back-story, and the most recent game, A Link Between Worlds, has even given it an alternate universe counterpart. But, could we have some other plot device or story line relating to the gods, without using the Triforce? It may be the backbone of the series, but could a new mechanic work well? Join the discussion after the jump! The goddesses have been quite the ambiguous element of the whole series. We were given a history of Hyrule’s creation, explaining the actions of the golden goddess, Din, Nayru and Farore, and the creation of the Triforce, but what else do we know of them? Perhaps there could be a story told about the later actions after they returned to the heavens. The Wind Waker did this to a degree, telling of how the gods sealed away Hyrule to keep Ganondorf at bay, but that is not much. There could be a plot giving a bit more personality to the goddesses, and if done well, it could be very memorable. For so long, the golden Triforce has been the subject of war and villainy, but couldn’t something new be used as a target of antagonists? In fact, why does there have to be some relic at all? Can’t the golden goddesses, or some new ones even, be personally involved without there being some overhanging plot device that is almost overused at this point? Skyward Sword kind of did it, with Zelda as Hylia, but still, the Triforce was, in the end, the centerpiece for the villain’s plans. Maybe the gods should be portrayed differently in a future installment. I, personally, would love to see the gods portrayed negatively for once, for the sake of an interesting story. 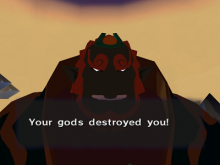 There could be new villain that is outright against all that is related to the gods, but in a different way than Ganon has been in the past – more in a way of forcing the hand of the gods themselves, and drawing them out and manipulating them. Or, even better, make the gods themselves the antagonists, or at least running rampant in some way that the hero must stop. That could give them more character, and could make for a grand adventure. What do you guys think? 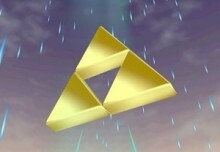 Should the Triforce be a secondary element in portraying the gods in Zelda, or even put aside completely? Should the gods be used more as characters and less as overhanging concepts? Leave a response in the comments!